Our wide range of solutions specifically tailored to reception management. Extensively used in many different environments, from banks, hotels to corporate reception areas, we have the most suitable solution for you or your customers’ needs. Our cost effective paper based visitor system can be customised to your corporate branding, and are perfect for use with our range of stylish complementary products. Click here to view our range of paper based visitor systems. We also provide market leading visitor and contractor software in the form of SkyVisitor. This system is tailored to your requirements and can streamline the check in process at your reception. Pre-registering visits, logging arrivals and departures, and producing statistical reports to monitor activity. With SkyVisitor, the offline mode is automatic, meaning you never need to worry about your internet connection. The system is significantly faster than any other visitor management web system and in the event of an internet loss, SkyVisitor will seamlessly continue to function without interruption and the data synchronisation will simply recommence when the internet is restored. Enhance your reception area with SkyTouch, an automated self-service virtual reception system. Configurable for multi-tenanted buildings, single tenanted and event mode, with quick input for conferences and training courses. Click here to see how SkyTouch can transform the way you book in visitors at your reception with SkyVisitor. 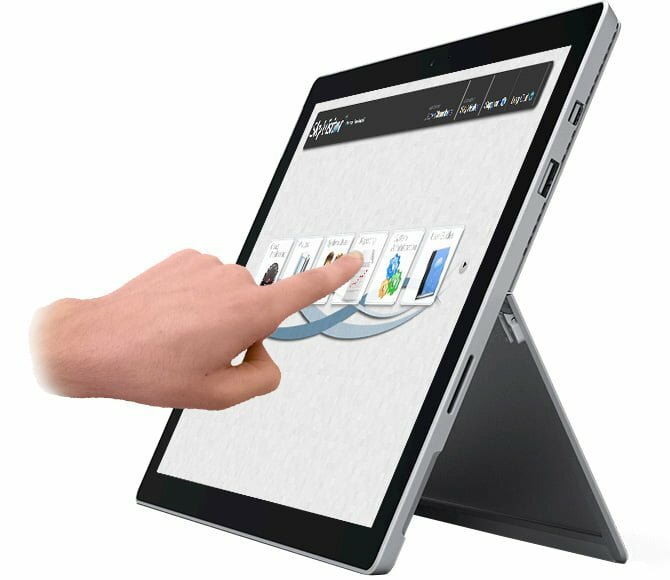 SkyTouch gives you the flexibility to diversify hardware. From a desktop tablet adjacent to the receptionist or a wall mounted unit, to a floor standing kiosk. With SkyPax, we deliver a simple and fluid interface for Net2 to easily and efficiently provide area restricted passes to visitors and contractor as well as assigning new tokens to staff. Our range of personalised products help create a professional and recognisable corporate image. Choose from a selection of printed visitor systems and extensive range of ID accessories which can incorporate your logo, colours and motto as well as any relevant health and safety information. All our visitor management solutions can be scaled to suit your budget and business needs. With SkyVisitor, additional features such as badge printing and SkyTouch can be added for increased functionality along with multiple receptions and site locations. We offer a fully comprehensive range of visitor management solutions and complementary accessories for the reception management industry at competitive prices. Our printed products are made in-house, meaning there’s no mark up from suppliers, guaranteeing you the best prices on the market.